Speculation are being made that the new UK Immigration rules are doing more harm rather than any justice to the legal migrants. 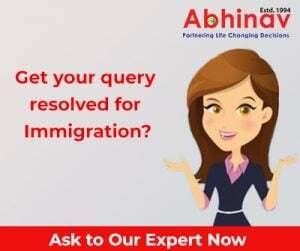 As a part of this change, the government is planning to constrict the rules for legal migrants, especially the ones from the Indian origin. The policy involves banning wives who join their husbands, mainly from India and Pakistan, from receiving ‘child benefit.’ In addition, they are barred from gaining advantage of a wide range of other state aid till the time they gain proficiency in the English language, support British values and do voluntary work in the community. “These are preposterous proposals that have never been discussed either in the Labour party or in Parliament,” stated Keith Vaz, Britain’s longest-serving MP of Indian origin. Instead of 5 years, the status of ‘Indefinite Leave to Remain’ will be granted after 10 years of employment. They will also be penalized for participating in anti-war protests. The citizenship tests will be decked with certain sections on British history and politics. “They are unworkable, expensive and deal with legal migrants whereas what worries people in the UK is illegal immigration,” said Vaz. “This is an act of desperation by a government that knows it has let immigration run out of control,” added Damien Green, the Home Affairs spokesman for the opposition Conservative party. These plans would be officially implemented in the year 2011, if Parliament votes them through. Let us wait for more news on this issue!